Designed for the Lilydale Show theme of bees. Everything on they quilt is digitised by me. 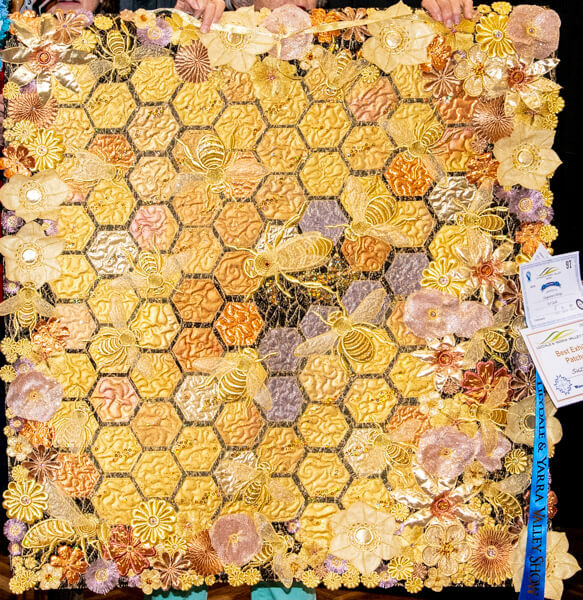 The honeycomb is a combination of painted and dance fabric. I aim to take machine embroidery out of the square and attack it with fire!